Xue and young partner Wang Xinxin defeated Canada’s Taylor Pischke and Sophie Bukovec 2-0 (21-16, 21-16) in 34 minutes. The 30-year-old Xue felt they had a shaky start, but was satisfied with their performance after they won against their opponents in Pool H.
“My partner’s reception was great in this match. They spiked very hard but they didn’t score a lot on service. Our block and defence were good and I am satisfied with how well we managed to limit our errors. Xue’s compatriots Wang Fan and Xia Xinyi logged a 2-0 (21-17, 21-14) win against Poland’s Monika Brzostek and Aleksandra Wachowicz, forcing an all-Chinese encounter for Pool H leadership on Friday. 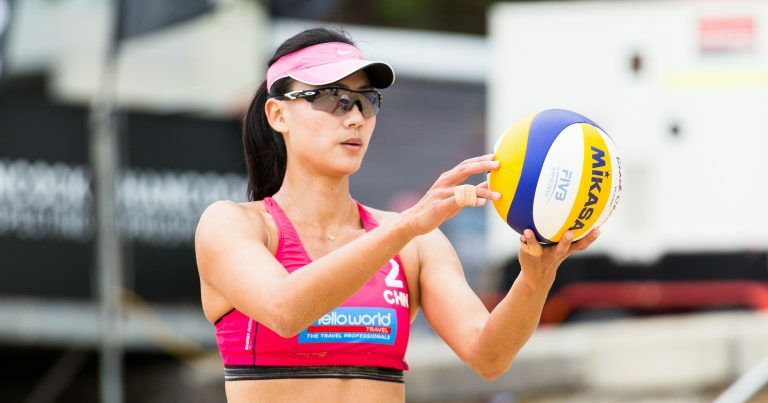 Meanwhile, Lin Meimei and Zeng Jinjin rallied from a set down to win 2-1 (14-21, 21-17, 23-21) against Japan’s Takemi Nishibori and Ayumi Kusano in Pool F, where Greece’s Vasiliki Arvaniti and Panagiota Karagkouni also made a stunning tie-break upset on USA tandem Brooke Sweat and Kerri Walsh Jennings (21-13, 16-21, 15-10). Top seeds Taliqua Clancy and Mariafe Artacho Del Solar cruised to a straight-set win to lead their pool. 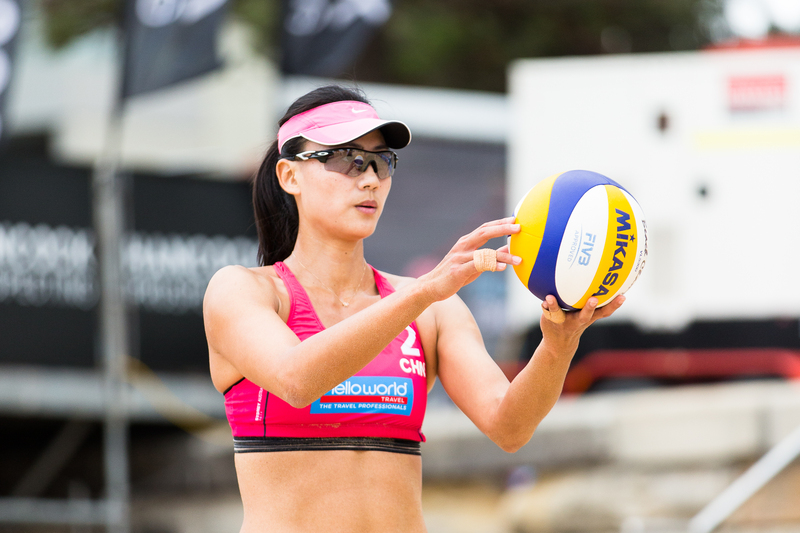 Other pool leaders include the Czech Republic’s Michaela Kubickova and Michala Kvapilova, Thailand’s Varapatsorn Radarong and Khanitta Hongpak, Italy’s Marta Menegatti and Viktoria Orsi Toth, Japan’s Megumi Murakami and Miki Ishii and the United States’ Betsi Flint and Emily Day.